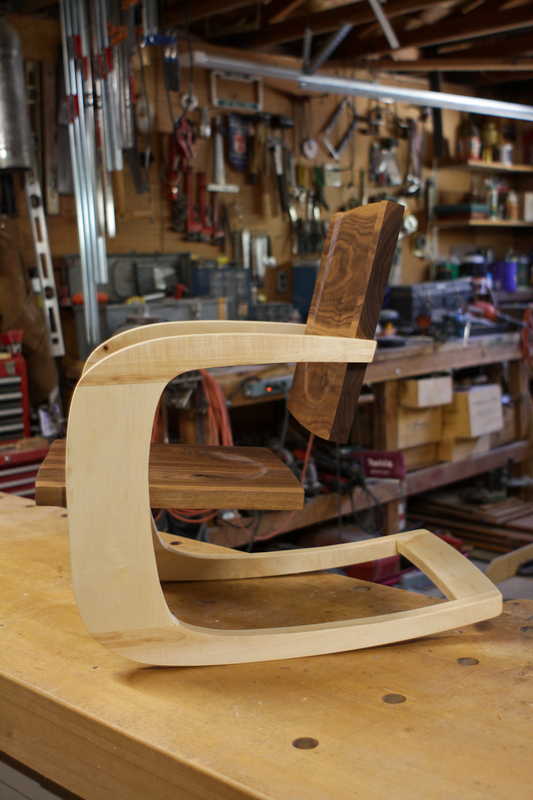 Continuing with the cantilever design scheme, this little rocking chair was custom made for a friend's young daughter and is inspired by Jared Rusten's Modern Rocking Chair. 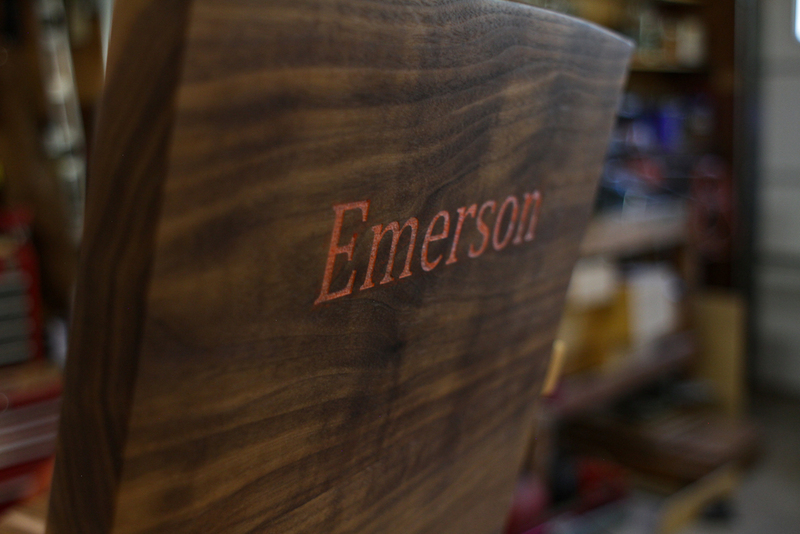 It is made of Maple and Walnut and features a hand carved seat and custom etching on the seat back. The maple base is constructed with sliding dovetail joinery to create a strong joint for the cantilevered design, while natural grain pattern and hints of the materials previous life are highlighted throughout the piece. The Cantilever Rocking Chair might be small in size, but that doesn't mean it is lacking in character.